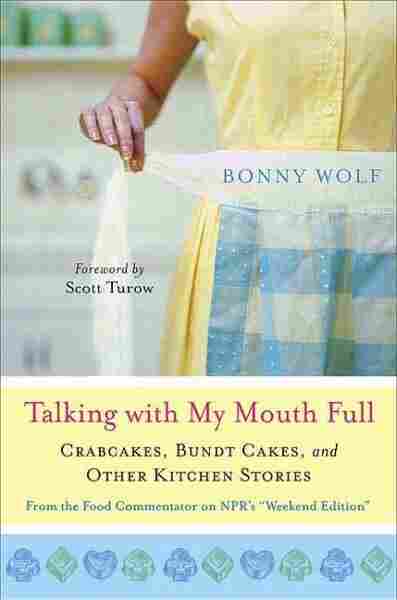 Writer Explores Comforts, Community of Food Community and food are the central topics of Bonny Wolf's new book, a collection of essays called Talking with My Mouth Full. 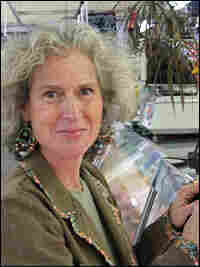 Wolf shares her thoughts on the recent shift in U.S. attitudes toward food. My son had to get a college education for me to fully understand toast. He was a theater student at New York University, studying method acting. His first assignment was to get to know a teacup. Every day for a week, he was to spend thirty minutes with his cup -- learning its shape, feeling its grooves, measuring its temperature -- so he could go to class and recreate holding a teacup through "sense memory." My first reaction was: For this we're paying the price of our first home every year? But my second was: toast. Sense memory is when you reach into a dark closet and can pull out the sweater you want because you remember how it feels. You bite into an ear of sweet corn and remember every summer barbecue. You smell toast and you're transported to warm kitchens, breakfasts on cold mornings, and cozy times by the fire. There's even a scientific explanation for eau de toast. The smell, taste and color of toast come from something called the Maillard reaction -- a chemical change that happens when bread is heated to a certain point and the sugars and starches begin to caramelize. This turns the bread brown and makes it smell like a cozy kitchen. Toast may be the most multitalented of all foods. It can be dead simple on its own or used as a vehicle for wild extravagance. Anything can go on toast, from cheddar cheese to Beluga caviar. Bruschetta is simply toast with garlic, olive oil and tomatoes. I read somewhere about melting dark bitter chocolate topped with Camembert on toasted panettone and running it under the broiler. Whoa. Toast is the ultimate comfort food. It is one of the first solids a baby tastes. If you're sick in bed, all you can eat is, maybe a little toast. Whenever I need a quick hit of comfort, I make toast. People have decided opinions about how toast should be made, what should go on it and how it should be served. The English, for example, eat toast cold. I think this is a mistake. While silver English toast racks are very Jane Austen (and, therefore, desirable), they promote cold toast. They do keep the pieces of toast from touching each other and steaming each other soggy. While they are charming, the racks are better used for sorting mail. Some people, however, like cold toast. Why? Butter. A piece of cold toast is a perfect surface on which to spread a thick layer of butter. The butter, however, must be softened. There's nothing worse than trying to spread cold butter on toast. It tears, it bruises, you say bad words. You need to hear just the right sandpapery sound to know the toast temperature and consistency are ready for butter. Honey and peanut butter should only be spread on hot toast. Peanut butter -- which must be chunky -- is a particularly good thing to spread on hot toast. It melts into a peanut cream with chips sticking above the surface. It is best to apply jam when toast is slightly cooled but not cold. The hazelnut spread Nutella, of course, can go on cardboard. Toast that's buttered for you by someone else is unacceptable. My husband loves the diagonally cut, white bread toast with melted butter you get at a diner. The bread is often packaged and limp and is never toasted enough. I find it grossly overbuttered and soggy. Proper toasting is a critical problem for toast lovers. The bread never seems to toast evenly. In our toaster oven, the corners are burnt while the center remains untanned. One side gets toasted and the other doesn't. Some people make toast in a cast iron pan. Others recommend state-of-the-art toasters that cost $300. I have heard that you get the crispiest result from putting bread on a toasting fork and holding it over an open fire. I'm sure we did this at camp but I can't remember the results. It's unlikely I'll be near a campfire with a loaf of bread anytime soon. In the U.S., almost every kitchen, no matter how small, has something in which to make toast. People are clearly still buying toasters. The Williams Sonoma catalogue features nine styles priced from $20 to $379.95. There even exists a portable toaster you can plug into a car cigarette lighter. So while you're sitting in rush-hour traffic, you can make yourself a piece of toast. There is an innocence and purity about toast that you turn to in times of need. You smell toast and you feel better. Let it snow. Let it get dark at 4:30. You're in a warm house, wearing fuzzy slippers and a flannel nightgown and you're making toast. If you're really lucky, you have a shaker filled with cinnamon and sugar. 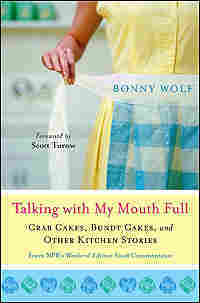 From the book Talking with My Mouth Full by Bonny Wolf. Copyright (c) 2006 by the author and reprinted by permission of St. Martin's Press, LLC.